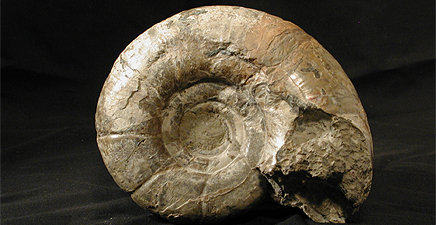 In these sessions we’ll look at fossils and talk about what they teach us about the past. These interactive classes will include a hands-on look at fossils, a tour through the exhibits and making moulds and casts of fossils to take home. Parents encouraged to participate. Reservations appreciated. Fossil Tours will be offered in the afternoons on the above dates 1 to 4 pm. Click here for more info about our tours. Reservations required. 15% discount if “Fossil Mould & Cast” class taken in the morning. 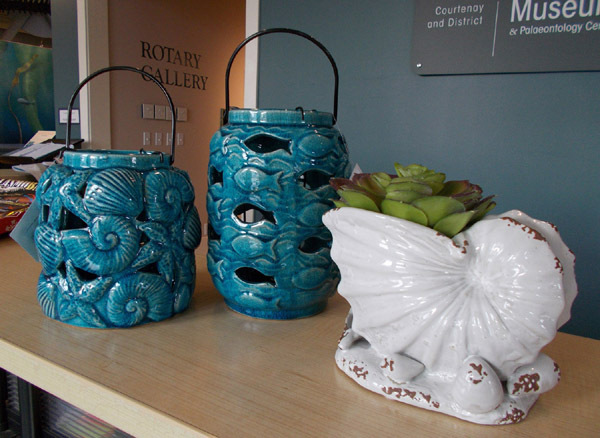 Please contact Visitor Services Manager Gillian Miller at 250-334-0686 ext. 5. 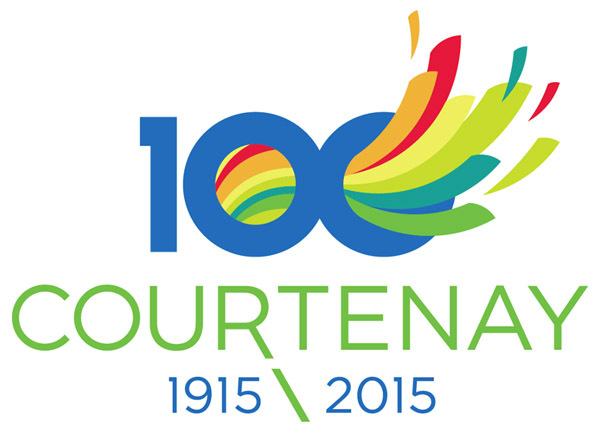 We are proud to announce the creation of a special Centennial souvenir booklet in honour of the City of Courtenay’s 100th anniversary. Museum volunteers and staff have worked to produce a nostalgic look back at this place we call home. Articles by guest authors Rick James, Judy Hagen and Ian J.M. Kennedy are also included. The project was made possible by the Publisher and Staff of the Comox Valley Echo. Through the generosity of the Comox Valley Echo, proceeds from the sale of the booklet will support long term programming and research efforts here at the museum. 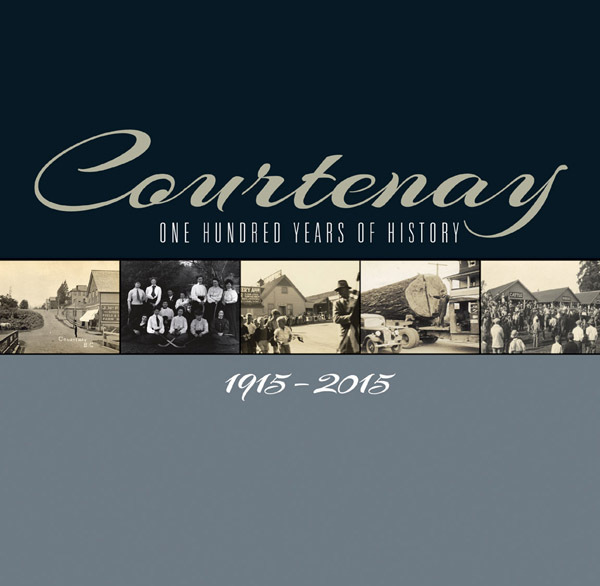 “Courtenay, One Hundred Years of History” will be available for purchase towards the end of March for $5 per copy (general public); $4 (museum members). Copies can be picked up at the Echo office or the museum gift shop. The Courtenay and District Museum lost a valued volunteer with the recent passing of Marjorie Thorpe. Marjorie had been working with the palaeontology collection for over two decades. Her dedication was evidenced through the detailed organization she brought to the collection. Marjorie’s work also spanned beyond the museum as she worked with palaeontologists and scientists around the world in arranging loans of the museum’s collection and research information. She played a pivotal role in the advancement of awareness of BC’s fossil history by serving on the Board of the British Columbia Palaeontological Alliance. Marjorie’s family will be hosting a Celebration of Life starting at 1:00 pm, Saturday, April 11 in the Rotary Gallery at the museum. 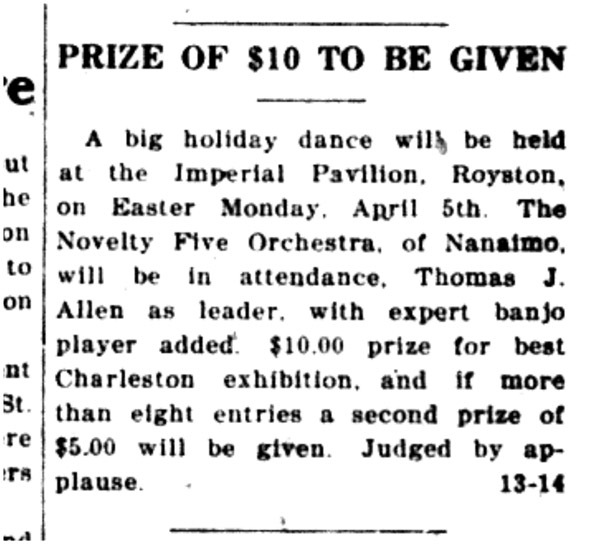 A fun little snippet from the Cumberland Islander newspaper of March 26, 1936. How hard would you dance for $10 prize money? The Sandwick area was annexed to the City of Courtenay in 2002. We hope you can join us for our annual spring event on Saturday, March 28 from 11 am to 2 pm. Admission is by donation with half of the proceeds going to the Shamrock Gumboots 4-H Club. There is a lot of family fun planned within the three hours. You can meet lambs, kids (baby goats), ducks, geese and chickens – all courtesy of the Shamrock Gumboots 4-H Club. We will also be visited by the Hot Chocolates Rabbit between 12 noon and 1 pm and he will be handing out delicious Easter chocolate. The Elasmosaur mascot will be making an appearance for fun photo opportunities. And, the popular Gillian from Detailed Face Painting will be here to paint faces for a small fee. Don’t forget to bring along your decorating skills to join in the colouring contest. 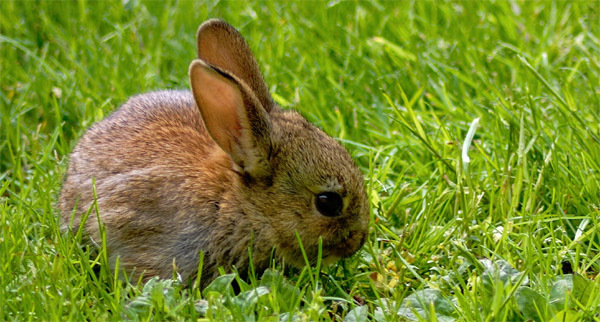 Other games will include a Dinosaur Egg Hunt with a twist and “Guess How Many Treats” contest.